Last night, “The Social Network,” a film about the controversial founding of Facebook by Harvard student, Mark Zuckerberg, walked away with several Golden Globe Awards, including the highly-coveted “Best Picture” award. Many in the film industry point to the Golden Globe Awards (in its 68th year this year) as an indicator for the Oscars, which will release its nominations on January 25. Others rely on the Golden Globe Awards to either add-to or check-off films on their “must see” list. And given that all these films will be, or already are, on DVD in 2011, sales and rentals of these films tend experience a notable spike post-awards. What about you? 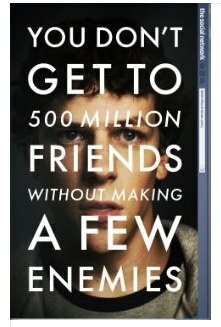 Will “The Social Network” be watched on your flat-screen TV and TV lift cabinet before winter’s end? When director Aaron Sorkin and the film’s producer, Scott Rudin, accepted awards from the Hollywood Foreign Press Association, they both thanked and praised Mark Zuckerberg and Facebook for their contribution to society (and likely their own success). One film that had no part of last night’s award show was the recently-released “True Grit,” starring Jeff Bridges and directed by the Coen brothers. Interestingly, Jeff Bridges won for “Best Actor” at the 2010 Golden Globes for his performance as an alcoholic country singer in “Crazy Heart.” Many fans of “True Grit,” Jeff Bridges and the Coen brothers will be watching eagerly on January 25 to see if the film bucks the Golden Globes’ supposed trend and winds up with one or more Oscar nominations. The Academy Awards (aka the “Oscars”) will air live on February 27, 2011. Will you be hosting an Oscar party at your home? Will you be impressing your friends with the magic and quiet of your TV lift cabinet? Let us know what you have planned for the next awards show.